안녕하세요 “an-nyeong-hah-say-oh” is hello. Are you new to Korea and looking for a connection to fellow travelers? We welcome women of all nationalities. Meet our members and get to know the area by coming to our events. 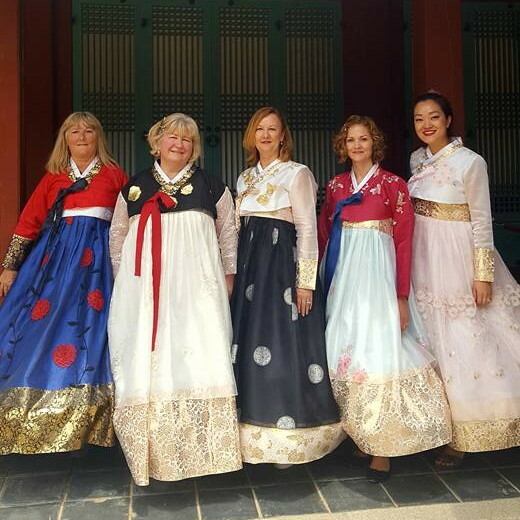 Welcome from the American Women’s Club of Korea! Our membership is comprised of an amazing group of women from many countries who gather for friendship, cultural, charitable and social activities. We help you connect with the U.S. in Korea and help you discover the best of what Korea has to offer. The American Women’s Club welcomes you to attend our monthly AWC coffees, lunches, planned social activities and events. If you have any questions or need information, please do not hesitate to send us an email to awc.korea.seoul@gmail.com. We can help you with any questions you might have if you are new to Seoul or if you are new to AWC. Access to AWC events & discounts.